Stress, either physical or emotional, can lead to increased levels of the hormone cortisol. 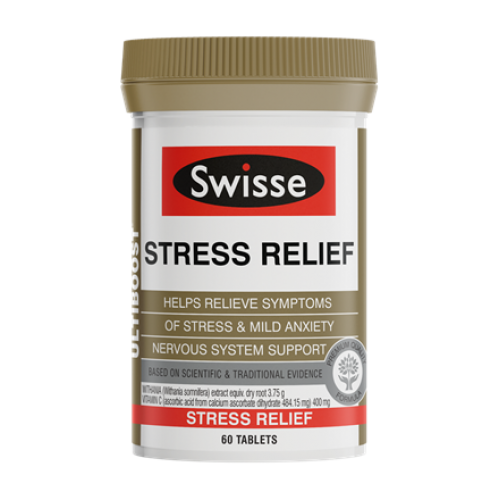 Swisse Ultiboost Stress Relief contains Withania which may help decrease cortisol levels, helping to reduce the effects of stress on the body. No added gluten, soy, egg or artificial flavours. If symptoms persist consult your healthcare practitioner. Vitamin supplements should not replace a balanced diet. No added gluten, soy, egg or artificial flavours.